If you’re working on localhost (your PC), we recommend you to use XAMPP as the best Apache for Joomla! CMS. * With PRO versions, you can install to get theme and sample data like our demo site, access all template features. So, you just replace demo content with your content to save development time. If you want to build theme without sample data, or using the theme for existing website, you can use the Theme Install package only (without sample data). Step 1: Go to our website, login to Customer Area and download file ‘[theme-name]_free.zip‘, you just unzip it and you will see three packages includes Document, ‘[theme-name]-child.zip‘ and ‘genesis‘ file. Step 2: Login to your WordPress admin page (normally it’s http://yourdomain.com/wp-admin). Step 3: Navigate to Appearance > Themes. Step 4: Click Add New, click to ‘Upload Theme’ and browse file ‘genesis‘ in the download package and click ‘Install Now‘. It’s just theme framework, not require to activate it after installed. After finish above steps, you can Active genesis. Thus, you click to ‘Upload theme‘ and browse file ‘[theme-name]-child.zip‘. After finish above steps, you can Active Child theme to load theme style. Now, you can start to build content for your website via Admin > Appearance > Customize. You can see details options in Genesis and how to use it in part “Theme Customization” below. For building shopping cart website, you just download WooCommerce plugin and install it via Plugins > Add New. Using the WordPress Customizer, you can edit your child theme’s options and preview the changes before publishing them to your live site. Once you’ve activated a child theme, you’ll see several default WordPress settings and some Genesis- specific settings in the customizer. The available settings will vary depending upon which child theme is activated. The customizer menu on the left side shows the various options that are available for editing in your theme. You can choose from options such as colors, background image, menus, and more. The exact options available depend upon which theme you’ve activated. On the right side, you’ll see a live, interactive preview so that you can test each option in your theme. All changes will appear as you select them. To see the settings available within each option, click the title to open the expanded view. Remember, the available settings will be different for each theme. To see the interactive preview in full-screen mode, click the Collapse triangle at the bottom of the menu on the left side. When you are finished making all your changes, click Save & Publish. If you decide you do not want to save the changes you’ve made, click the X to close the editor and dismiss your changes. Let’s go over some of the common options available in the customizer. 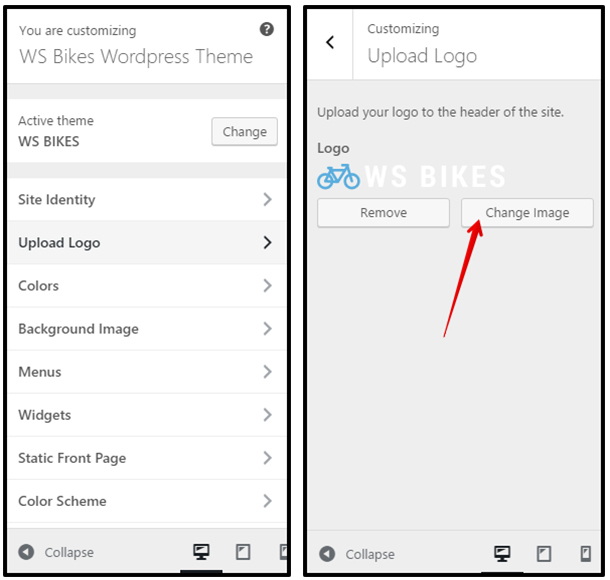 You can set your site title, tagline, and upload your site icon (favicon) or upload logo here. 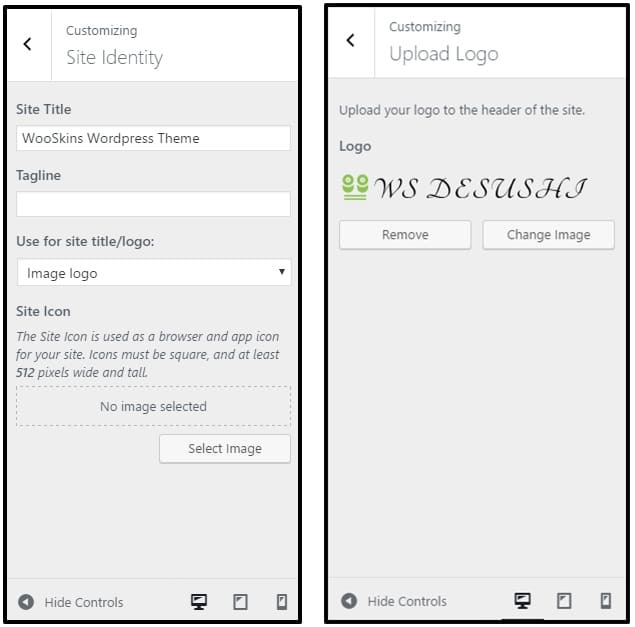 If you have activated a theme that doesn’t include the Header Image setting (see below), you can also choose whether you’d like to display an Image logo or Dynamic text for your site title. Almost all our child themes, however, do include the Header Image setting. Particularly with this theme, we have upload logo for the site by the widget. * If you already changed Logo but it couldn’t display on your website, please take a look on Header/Footer script and remove all code. Some themes allow the selection of a custom background color that will typically display behind the content area of your site. Note: In some cases, the Background Color can be set here but it won’t show on the site if a Background Image is also being used since the background color is located “behind” the background image. Some themes also allow the selection of a custom Link Color and/or Accent Color. These colors are typically applied to links, navigation menu link hovers, buttons, and footer widget backgrounds. 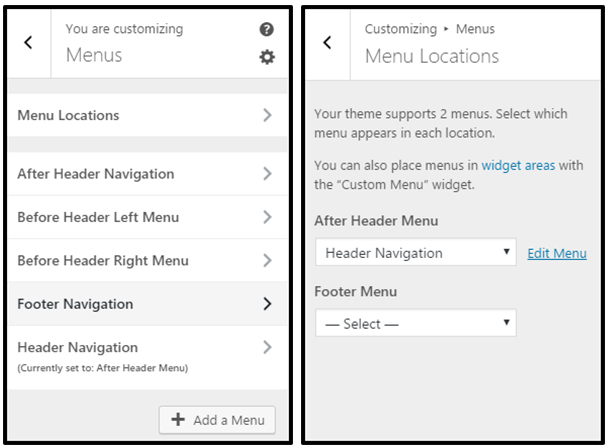 You can create and edit menus, as well as manage their location, within the Customizer. The available menu locations will depend upon which theme is activated on your site. Click Menu Locations to see the available locations in your theme. Use the drop downs to select a navigation menu to display in each available location. Or, if you prefer, you can set both locations to “Select” (in other words, turn them off ) and use a Custom Menu widget in a widget area instead. Click Add a Menu to create a new menu. Alternatively, you can click on the name of an existing menu to edit it. – Give the new menu a name and click Create Menu. – Click Add Items to begin adding links to the navigation menu. – Click the titles to open the expanded view of the options or use the search field to locate items for the menu. When you’re finished adding all the menu items, click Save & Publish to preserve your settings. Some themes offer unique widget areas where you can add widgets to display important information. The exact widget areas available will depend upon which theme is currently active on your site. Click on any available widget area to open a new panel where you can add and configure widgets. In the new, open panel, click Add a Widget to display the available widgets that you can add to this widget area. You’ll see a list of all the available widgets you can add to the available widget areas. You can click directly on any widget you’d like to add. Scroll down the list or use the Search widgets box at the top to locate the one you’d like to use. Customizer and preview your changes in full-screen mode. After selecting a widget, you can configure it however you’d like and then click Save & Publish to preserve your changes. You can also click Reorder to rearrange the widgets into the order you prefer or to select a new widget area to move the widget into. Click Done when finished and then click Save & Publish to preserve your changes. The default setting for the front page is Your latest posts. This setting allows you to display a blog-style front page. You can, however, select any page in your site to be displayed as the front page instead of your latest posts. If you select A static page, you can select which existing page on your site will be displayed on your front page. You can also select which page will display your blog posts. This page should be different from the one you’ve selected for the static front page and should not be set to use the Blog Page template. PLEASE NOTE: If your theme uses the front page to display widgets, the widgets will be displayed regardless of which setting you choose here. 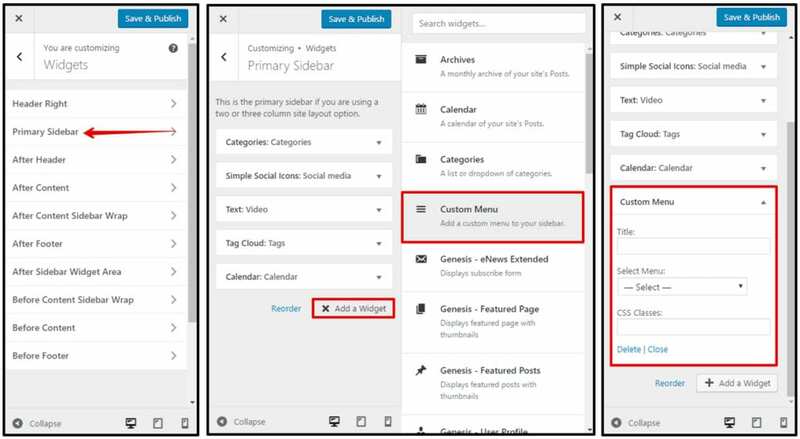 If you prefer to display your latest posts or a static page on your front page, you’ll need to remove all widgets from all front page-related widget areas. 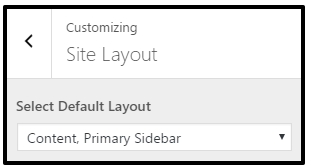 You can select the Default Layout for your entire site here. Site layout options can be added or removed with custom coding in the child theme. Child themes with a widget-sized home page will often work independently of this layout setting. Breadcrumbs are a navigation aid that allows users to keep track of their location on a website relative to the home page. 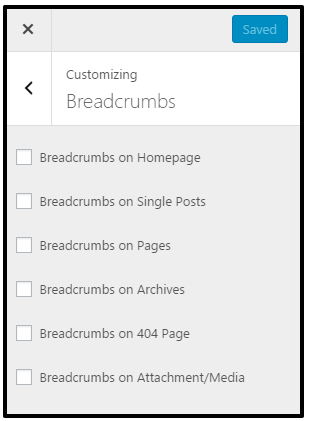 This option lets you define the pages where the Breadcrumbs will be displayed. Genesis allows you to globally enable or disable Comments and Trackbacks on Posts and Pages. 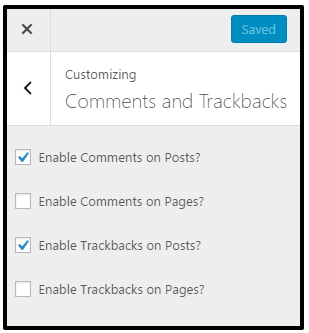 If Comments or Trackbacks are disabled here, they cannot be enabled on an individual post or page basis. You’ll find more information about Trackbacks here. The Content Archives settings allow you to control the way content displays on category, tag, author, date, and taxonomy archive pages. You can choose to display post content or to display post excerpts on archive pages. Display post content: This setting allows you to display full posts on archive pages. – If you’d like to limit the length of the content displayed while using the post content setting, enter the number of characters (letters, numbers, and spaces) in the Limit content to how many characters field. When you enter a number greater than 0 in this field, a Read More link will be automatically added to the end of the content displayed. This option will strip any HTML from the content that is displayed on the archive page, but it allows for more precise control over the length of the displayed content. Display post excerpts: This setting allows you to display post excerpts on archive pages. – Only the first 55 words of the post will be displayed and the HTML will be stripped from any content that’s included in the excerpt. If a manual excerpt is set in a post, it will be displayed in place of the first 55 words of the post content. Also, a manual excerpt will display any HTML that’s included in the excerpt. The Featured Image setting allows you to show a thumbnail of the first attached image or the currently set featured image for the post. Check the box to enable featured images. 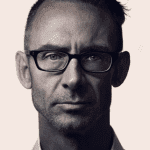 The Featured image size list is populated by the available image sizes defined in the theme. The Featured image alignment setting allows you to choose whether the featured images on the archive pages should be aligned to the left or right of the content. PLEASE NOTE: To avoid displaying duplicate images, featured images should not be used when displaying full post content. Also, if the featured images are not displaying at the correct size, you may need to use a Regenerate Thumbnails plugin to change the automatically generated thumbnail size. The Post Navigation Type setting allows you to select one of two navigation display methods: Previous/ Next or Numeric. These navigation links will be visible on category, tag, author date, and taxonomy archive pages, pages using the blog page template, and on blog style home pages. Once you’ve activated a child theme, you’ll see a new Genesis menu item in the WordPress Dashboard. This menu item includes three sub-menu options: Theme Settings, SEO Settings, and Import/Export. Sometimes child themes and Genesis-specific plugins will add additional sub-menu items in this section. They may also add additional content to the default Genesis settings pages. The Theme Settings page contains general options to control the way your theme will behave. Some of these settings are also available in the WordPress Customizer. 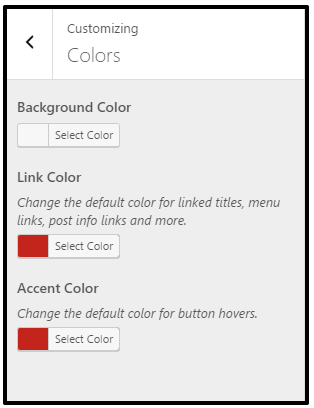 *** Please select the color style from the drop-down list and save your settings. Each of the boxes on the page can be collapsed or expanded by clicking the box header and can be dragged into any order you wish. They can also be hidden by clicking on the Screen Options tab in the top right corner of the screen and unchecking the boxes you don’t want to see. This is ‘Posts’ in WordPress and you can use it to build a blog for your page. – Go to Posts > Add New to add new post. You can add various types of item to your post: Video, Audio, Gallery, Quote. 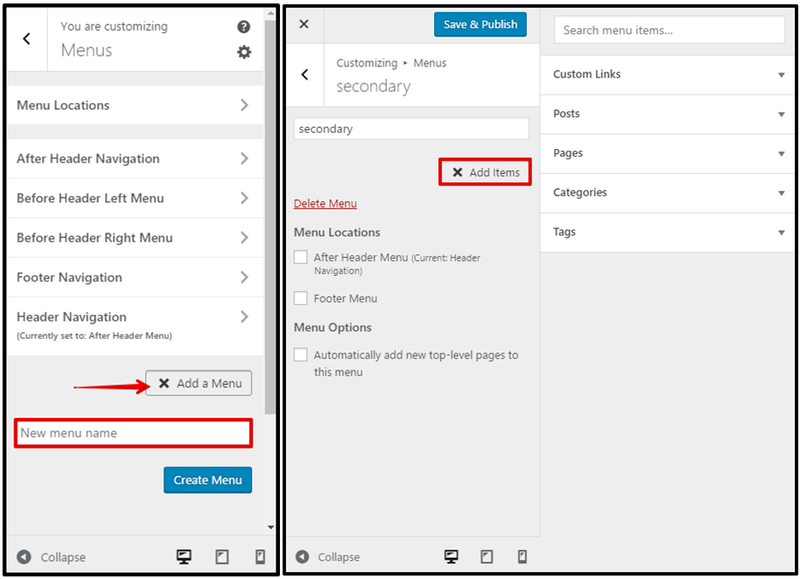 A WordPress page (not a post) can be configured to use a template by selecting an available template option Page Attributes section in the right sidebar of the page editor screen. The Archive template creates a sitemap of your site. Go to Pages > Add New to create a page that will use the Archive template. Start by giving the page a title (example: Archive). In the Page Attributes box on the right side of the screen, use the drop down to select the Archive template. You will leave the content area blank. The archive template will auto-populate the page with a sitemap (list of links to posts and pages on your site). Click Publish to preserve your settings. You can add this page to a navigation menu to display a link to your new archive page. The Blog page template displays the latest posts in a blog list format. 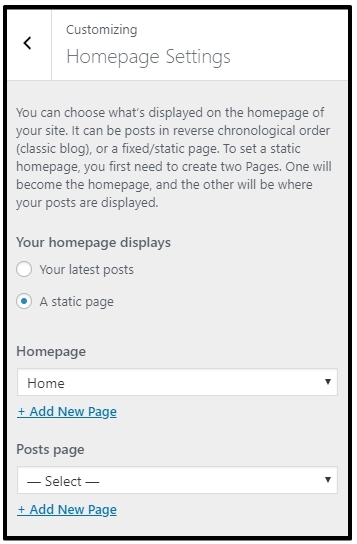 Go to Pages > Add New to create a page that will use the Blog template. Start by giving the page a title (example: Blog). In the Page Attributes box on the right side of the screen, use the drop down to select the Blog template. You will leave the content area blank. The blog template will auto-populate the page with your blog post list. You can add this page to a navigation menu to display a link to your new blog page. Smart Slider 3 is the most powerful and intuitive WordPress plugin to create sliders which were never possible before. Fully responsive, SEO optimized and works with any WordPress theme. Create beautiful sliders and tell stories without any code. A beautiful interface makes creating slides fast and efficient. The complete freedom to build what you want, the way you want. Edit your slides as you used to in page builders. Drop layers after each other and structure them with rows and columns. Enhance your slider with the layers and make your site even more unique and grandiose. Every heading, text, image, button and video can be edited easily with the customization options. Change all the details that really matter in typography and style. For more detailed information, please visit https://smartslider3.helpscoutdocs.com/ for demo, extensions, documentation and other goodies to enhance your store. We’re using Contact Form 7 to build form layouts and features. – This plugin is used to create powerful & flexible contact forms for your site. – This is a powerful plugin for managing your store. It has a lot of functions that required to run your store effectively. – For more detailed information, please visit http://www.woothemes.com/woocommerce/ for demo, extensions, documentation and other goodies to enhance your store. – Go to Admin > WooCommerce: settings for WooCommerce plugin. – Go to Admin > Product: to add/edit product for WooCommerce. Copyright on footer which we defined for the template, you can remove it by open file ‘function.php’, scroll to end of this file so you can edit it. Please read FAQs or Contact Us if you have any questions before to purchase the template. If you have a technical problem, feel free to Open Ticket Support. If you need Quickstart Install Service, you can order here. We also offer Custom Development task, you can request it at here. Kelvin on Answer for Issue in subscription renewal : Revert payment. Siju V on Answer for Issue in subscription renewal : Revert payment.